Our 10 year Build-Zone Structural Warranty product will protect your completed home against a defect in the design, workmanship or materials. Self-build Site Insurance is essential for anyone planning an Extension, Renovation, Conversion or New Build. A contract is the glue that seals the relationship between a client and their contractor, consultant or supplier and is crucial for your project. Local planning authorities in England now have a legal obligation to service the delivery of sufficient serviced building plots to meet local demand for self-build and custom build homes under the new Housing and Planning Act 2016, which came into effect on October 31. Dubbed the ‘Right to Build’, the initiative is intended to help those looking to build their own homes to fulfil their ambitions. Despite this, more than 20 out of 326 local planning authorities have still not fulfilled the requirement to assess local demand by introducing and promoting a custom and self-build demand register – a requirement that came into effect on April 1, 2016. 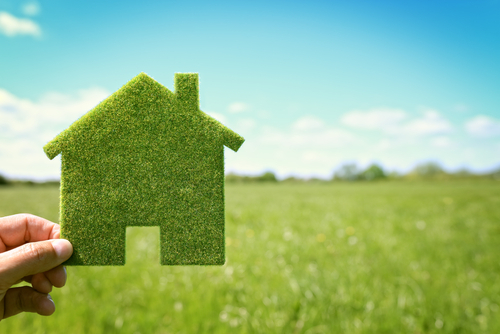 Guided by the National Planning Policy Framework, each local authority will need to adopt policies to meet demand for serviced plots appropriate for its own circumstances. In the UK, just over eight per cent of homes are self/custom built compared to 60 per cent in Germany, 50 per cent in Australia and 23 per cent in the USA. The government aims to double the number of custom and self-build homes in England by 2020. This includes the conversion of buildings into homes, and the creation of apartment blocks. Councils can apply for an exemption where demand exceeds land availability. Sign up to receive Self-Build Zone news by email! Ask a Self-Build Zone Expert at the Homebuilding & Renovating Show this month! Self-Build Zone and Build-Zone are trading styles of Sennocke International Insurance Services Limited which is registered in England at Anton House, South Park, Sevenoaks, Kent, TN13 1EB (Company Number 02489110). Sennocke International Insurance Services Limited is authorised and regulated by the Financial Conduct Authority (FRN 309040).